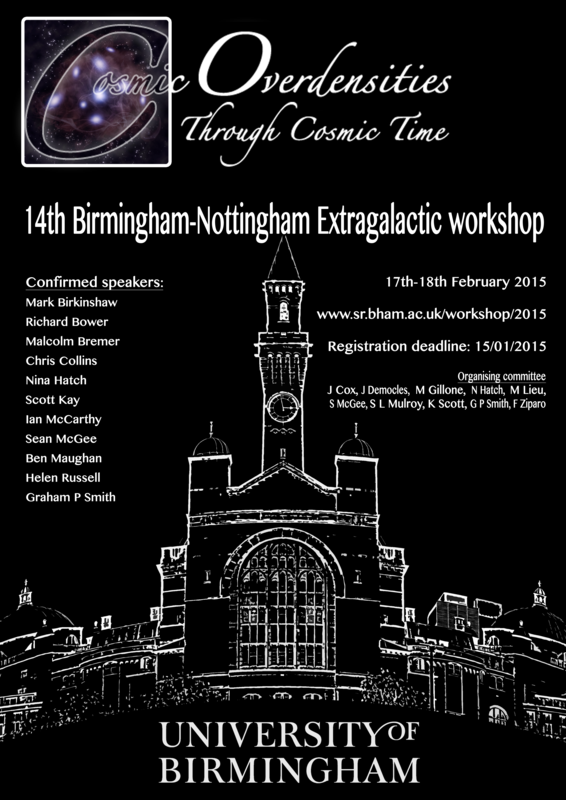 The Birmingham Nottingham extragalactic workshop series consists of informal 2-day events, involving typically ~50 participants, with the aim of bringing together researchers in related strands of research in a topical and well-focussed area of extragalactic astronomy. This year's topic is Cosmic Overdensities through Cosmic Time. We will review recent progress in our understanding of galaxy groups and clusters back to z=2, and discuss what observational, theoretical, and algorithm developments are required to take full advantage of the exciting opportunities post-2020, including LSST. Click here to download the workshop poster.